Although copyrights and trademarks are popular forms of intellectual property covering aesthetics, design patents are generally the IP form of choice in most situations. According to US Patent and Trademark Office (USPTO) statistics, in 2016 the number of design patents issued increased by 11% over the prior year and the annual number of design patent grants has steadily increased over the past 40 years. Assuming the underlying work is protectable, copyrights are created when the design is fixed in a tangible medium of expression. For works created after 1 January 1978, copyrights generally provide protection for a term of 70 years after the death of the author. If a work is created by multiple authors, the term lasts for 70 years after the last surviving author’s death. For works made for hire, the term is the shorter of either 95 years from first publication or 120 years from creation. Design patent grants emanating from applications filed in the United States on or after 13 May 2015 enjoy a term of 15 years from the date of grant. Design patent grants emanating from applications filed in the United States before this date have a 14-year term. The United States does not require any renewal or maintenance fees for design patents to remain in force through their terms. Like design patents, trademarks are examined at the USPTO. A trademark examining attorney analyses each application to ensure that the statutory requirements are met and that it is unlikely to cause confusion with existing trademarks. Proof may be required to show that the trade dress is distinctive or non functional. Similar to a design patent application, a utility patent application must be filed with the USPTO to start the prosecution process. The patent examiner will review the claims for novelty, non-obviousness and other statutory provisions. It is not uncommon for applications to be initially rejected. If the application is allowed and the issue fee is paid, the term of the utility patent will normally be 20 years from the date of filing. After a utility patent grants, maintenance fees are due at three-and-a-half years, seven-and-a-half years and 11-and-a-half years from grant to keep the utility patent in force. Robert S Katz is a principal shareholder in the Washington DC office of Banner & Witcoff. He has helped to procure more than 8,000 design patents in the United States and more than 22,000 design patents/registrations outside the country. He is a former US Patent and Trademark Office utility patent examiner and has a mechanical engineering degree from Carnegie Mellon University and a JD from George Washington University School of Law. He is currently a professor of design law at George Washington University School of Law and formerly taught at Georgetown University Law School. He is the current chair of the International Trademark Association’s Designs Committee and vice president of the International Federation of Intellectual Property Attorneys’ (FICPI) US section. 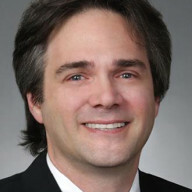 He also currently serves as liaison to FICPI for the American Bar Association section of IP law. 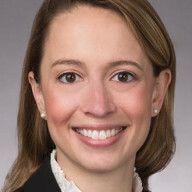 Alisa S Abbott is an associate in the Washington DC office of Banner & Witcoff. She represents clients in design patent procurement, prosecution, enforcement and infringement, and also provides general IP counselling, including obtaining trademark and copyright protection. She has extensive experience in athletic apparel, footwear, accessories and equipment, portable and wearable electronic devices, home entertainment devices and systems, appliances, construction materials, medical equipment, packaging, and static, animated and transitional graphical user interfaces and icons. Her practice also includes post-allowance support, such as client advocacy and dispute resolution. She graduated from the University of Virginia with a bachelor of arts degree, double-majoring in American studies and religious studies. She earned her JD from Washington and Lee University School of Law.